Went to start my 86' GL1200I Naked, No Start. Pulled plugs checked for spark at all 4 plugs Nothing. Checked my coils voltage 12V in, nothing out, on one coil. Checked other coil, 12v in, 12v Out on the other coil. Checked main fuse, I had converted main 30 amp dogbone fuse to a ATO blade fuse about 3 years ago. It was burnt, Hum, replaced it, still, same at coils. 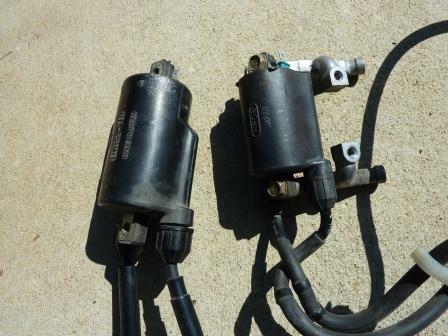 I had bought for $25.00 shipping included (EBAY), a set of 3ea coils including the spark plug wires from a 98' GL1500 6cyl. The coils that I used were MP08, GL1500 coil and Spark Plug wires. Hardest part was finding where I put them in my shop, but once located, I proceeded. I thought I would swap in the MP08 coils from the GL1500 and test to see if the engine would start. 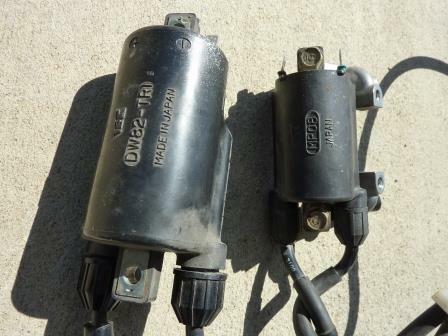 I new these MP08 GL1500 coils worked with the 4cyl. engines, cause I had put them on my 83' GL1100 a year earlier. So I just un-wired the old coils, (while they were still in place) and then wired the new (Old) MP08 coils while hanging over the frame for test purposes only. When hanging over the frame only 3 Spark Plug wires would reach the spark Plugs, that was good enough to verify spark, with all plugs in. I started it, on 3 cylinders and it started much faster, and ran smooth. It started faster than it had ever started before. So that proved that I had a Internally shorted coil. Especially after further testing. So removed the old coils, and Old Spark Plug wires. Then I removed the Old Coil Mounts, I used My 86' coil mounts, with the new MP08 Coils, that way everything would mount correctly with No modifications to mounting. I made sure to select the MP08 coils with the Spark Plug wires numbered 1,2,3,4, that way they are numbered for the corresponding cylinders on the 4cyl. Oldwing. All I had to do is add one extra flat washer Under the mount where the wiring plugs into the coils, to provide more clearance for the wiring in this area. Meaning, it already had One washer under this mount, I added One more for two washers under each mounting screw, on the wiring side only, to provide a little more spacing. So two extra washers total. Put it all back together, started it up this time on all 4 Cylinders, it started up faster than it had in the past, and was Very Smooth, even when cold. 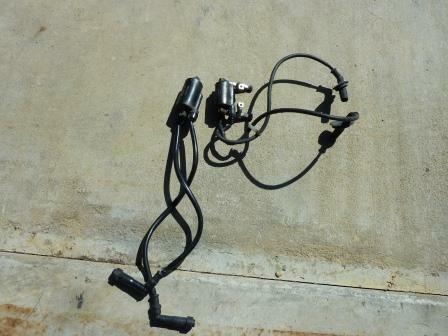 To me the MP08 GL1500 Coil and Spark Plug Wires are a Upgrade. and all for $25 to my door a inexpensive one. A couple of things I will mention, though that are different. 1. 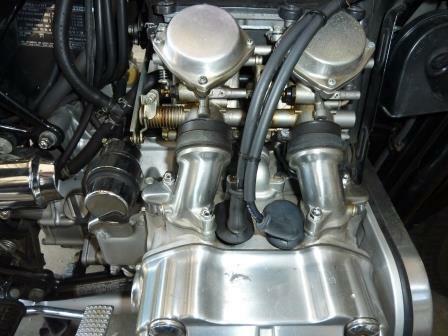 MP08 GL1500 Coils are a little Smaller than the 4cyl coils, but after mounted using the 4cyl. mounts they mount the same. 2. 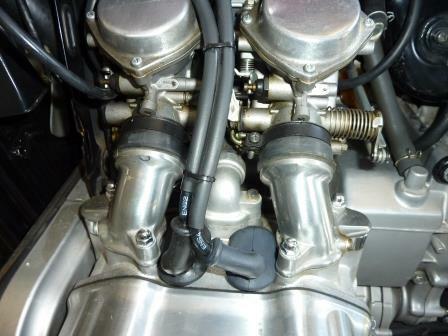 The GL1500 Spark Plug Wire are Different from the 4cyl. Plug wires. the screw caps to the coils for the plug wires are smaller, you may be able to mix and match here but I wanted better and matching wires to the coils. I test rode bike for over 200 miles, and it runs Much Smoother than it ever had before. When you buy the MP08 GL1500 Coils, I got Three Coils, and Six plug wires they were mounted to the GL1500 coils Mounts (i did NOT use the GL1500 coils Mounts) I only used 2 of the coils and 4 of the Plug Wires. This gave me One spare coil and Two spare Plug Wires for the shelf. All for $25.00 to my door. Ole Guy, Dirt Road Cowboy, SARR and 3 others like this. Might be a good sticky. Will make sure the Forum Index has this for posterity. Appreciate the results and sure others will too. 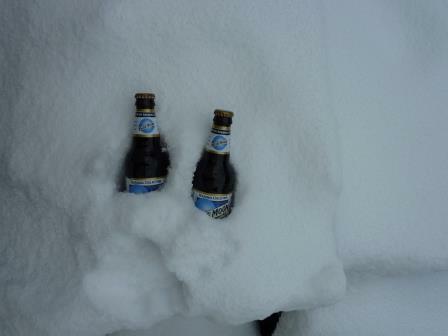 Pic #1, oh wait that was what I did during the winter. in the rest of the pics you can see the new coils hiding in the frame using the stock 86' GL12 or what ever 4 cylinder oldwing coil Mounts. pic shows Old 86' 4cyl coil vs Newer MP08 coil you can see the #MP08 on the Coil. there is a size difference. 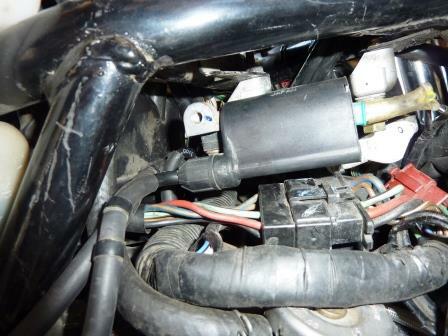 Pic you can see the GL1500 Spark Plug wires on my 86' GL12. Note: My GL12 has been coinverted to NAKED. I used Old Brake fluid, when I evac the old brake fluid out, i store it in a gallon container, and use it for cleaning and renewing old Rubber parts. It does a good job, leave it on for a hour or two, and should be good. With the smaller coils you can definitely get your hands in a little easier than before. Before I did the Swap to GL1500 Coils I did a search on this site to see how many failures that I could find for the GL1500 Coils & Pulse Generators. I could Not find any GL1500 Coils that have failed, well at least none that were posted. I believe that the GL1500 Coils are more robust and can handle more Heat than the 4cylinder coils can, this would provide a much longer life span. I also have a pair of Pulse Generators from a GL1500, sitting on the shelf waiting for one of my 4cylinder bikes PG's to fail so that i can install them into the 4cyl. bike. The GL1500 PG's are also better isolated from heat and seem more robust, I have not seen any GL1500 PG's fail either. 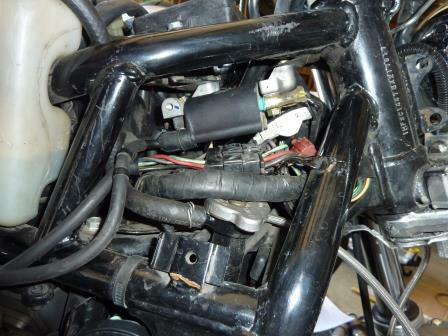 4cylinder Goldwings are much more prone to failure of the coils and PG's than 6cyl. wings are. Some information is missing here. Which color wires go to which coil and which plug wires go from which coil to which plug.